An amazing workout, cleverly disguised as fun. 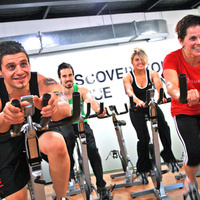 Indoor cycling provides upbeat cardio in a lively group setting! Come try it out on any Monday, Tuesday or Thursday this semester, in Mountaineer Field House Activity Room 3. All of our group classes are taught by instructors who are friendly, approachable and always ready to offer encouragement. All of our classes are FREE for members of the Mountaineer Field House (excluding limited memberships). While all group exercise classes are designed for healthy adults, some exercises can be modified to accommodate participants. Many web users have to seen this amazing post here follow http://windowstuts.net/remember-passwords and need to save the all setting of manage saved passwords in microsoft edge system easily.